The Gord & Jay Talk Art Podcast. Now in Blog form!... Wait... What? Yeah, this is where we post show notes, links and all of the other stuff we mention on the podcast. It's neater this way. Welcome back for another round of hijinks and jocularity in the form of the Gord & Jay Talk Art Podcast! 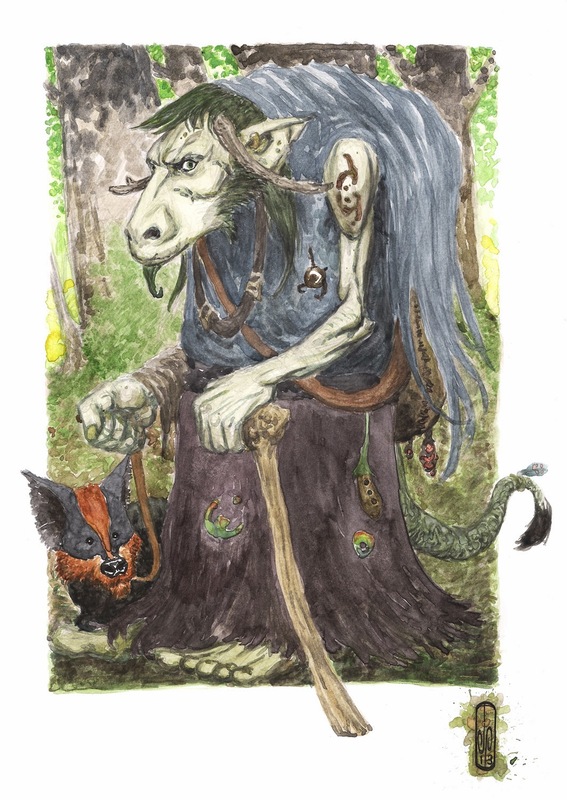 This is the Troll Witch piece by Jay that Rebecca from North Carolina bought. 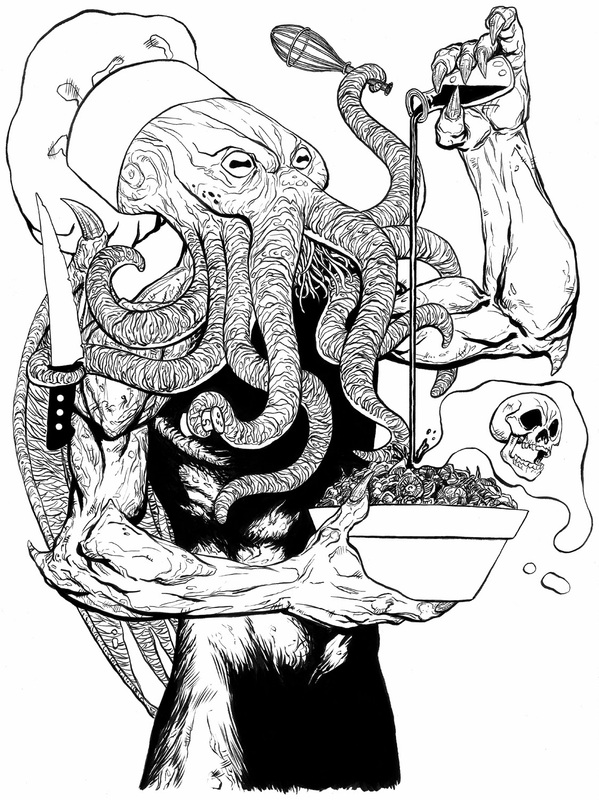 And this the Cthulhu piece that Erin in Canada bought (you'll all be happy to know that it has since arrived there safely. PHEW!). This is the Other Of One cover Jay did. These are the Staedtler pens Gord mentioned. This is the mighty Pentel Brush Pen. These are the even better (in Jay's questionable opinion) Tombow pens. 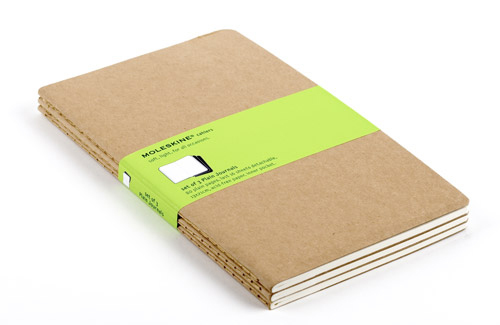 These are the Moleskine Cahier sketchbooks Jay uses. 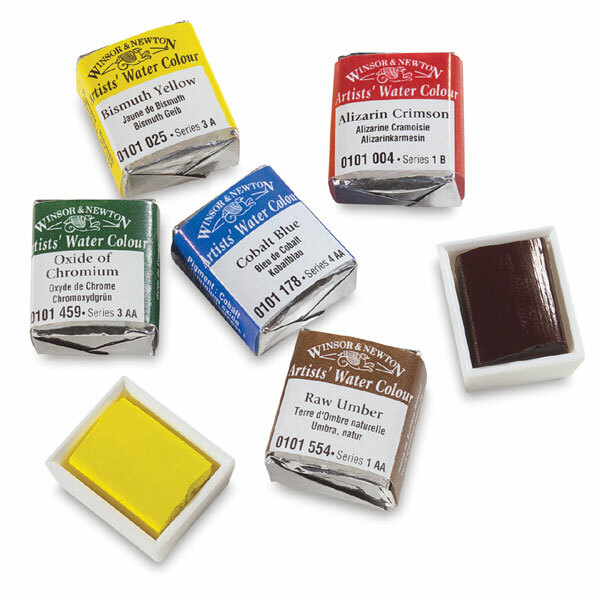 This is what a watercolour half pan looks like. Ah, the Karisma pencil. Love heart. The rather interesting Cretacolor Aquamonoliths. THIS be Slaine! (not the tubby irish-american rapper, obviously) Slaine has been depicted by some truly great artists such as Simon Bisley, Greg Staples, Mike McMahon and Dermot Power. You can right-click here to download the episode. Or you can go to our iTunes channel (be kind and subscribe, rate and comment!). The music we used for the background in the intro is provided by Group_1. There's some little interludes by FreqMan and indigosierra, and the outro is by Setuniman. Jeepers that's a lot of links! I am an aspiring illustrator, trying to turn a hobby I am passionate about into something more. I'm a faerie and fantasy illustrator. I work with paints, pens and clay. I write and illustrate my own comics, short stories and children's books. These stories take place in the Realms of Faerie, my land of wonder, magic and adventure!